Hummus Made Traditionally - With Kettle Cooked Beans, & Hand-Roasted, Fresh Veggies. Certified Non-GMO and Kosher. Organic Garbanzos and Tahini. Made With... Garbanzo (and black) beans, 100% organic. Real, imported olive oil. Organic sesame tahini. Fresh, non-gmo vegetables, hand-roasted over Oregon Harvest's Hazelnut-Shell Briquets. Lot's of love! 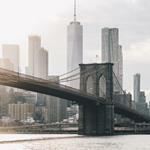 Made Without... Artificial ingredients. Preservatives, or fillers. Pre-cooked, canned, or packaged beans. Pre-cooked canned, or packaged veggies. One day Lilly Miscoe whipped up a batch of hummus for some friends over for dinner with some of her husband's freshly grilled jalapenos and red bell peppers (he invented a hazelnut-shell briquet). Michael's briquets impart a unique smokey flavor to fresh veggies, that remains a delicious feature of many of our hummus flavors today! (they contain no nut meat). Lilly's home-made batches of hummus became such a favorite with her family and friends, that she and her husband, Michael, began selling it at local farmer’s markets. Before long, Lilly’s Hummus was popping up in Portland food co-ops and natural food stores. Today, you can find Lilly’s Hummus in grocery stores nationwide. 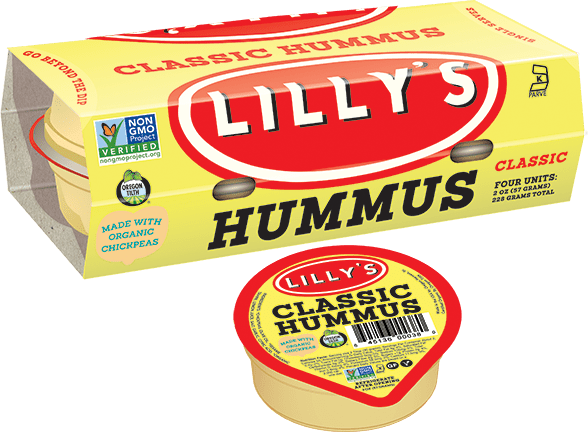 Lilly’s new two-ounce packages deliver the brand’s Classic, Red Bell Pepper, Smoked Tomato & Basil and Roasted Red Garlic hummus with ease, portability and the ultimate convenience.